the way it is and that you can’t do anything to change it? This rental kitchen remodel will change your mind! 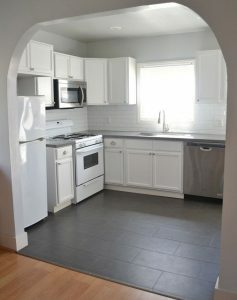 I had a $500 budget to inject some fun and personality in a generic rental kitchen and to make it more functional to prepare meals.